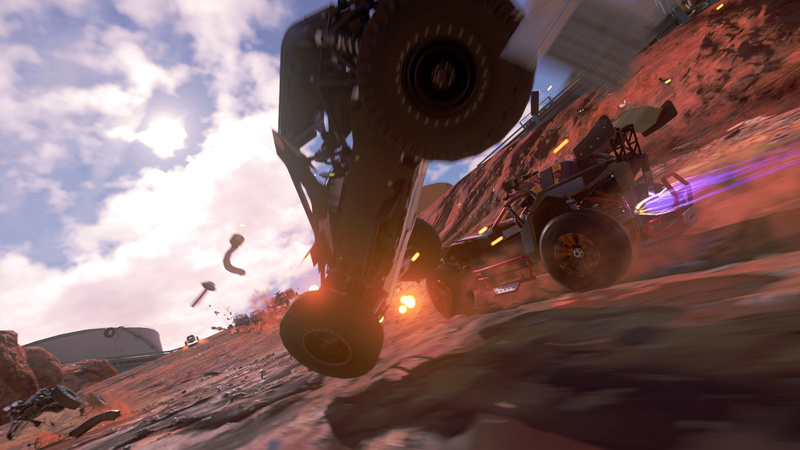 It may look a helluva lot like MotorStorm, but Onrush is a completely different beast. 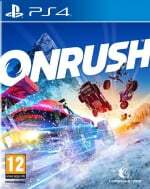 The first multiformat project from the developer formerly known as Evolution Studios, this high-thrills arcade racer shuns the racing lines of PlayStation 4 exclusive DriveClub in favour of explosive on-wheels action. It’s unlike anything we’ve ever played before – but can it stick its ambitious landing? Where to even begin? Unlike virtually every arcade racer from the past 30 years, Codemasters’ latest doesn’t care whether you’re first or last – in fact, it wants you to be in the pack. Two teams of six cars duke it out across four modes, where the underlying key to victory is how much boost you’ve got in your tank. You can collect nitrous by driving dangerously – or by taking out “fodder” that fills the road. Similarly to, say, Titanfall, computer-controlled racers pad out the tracks and are there to be smashed. 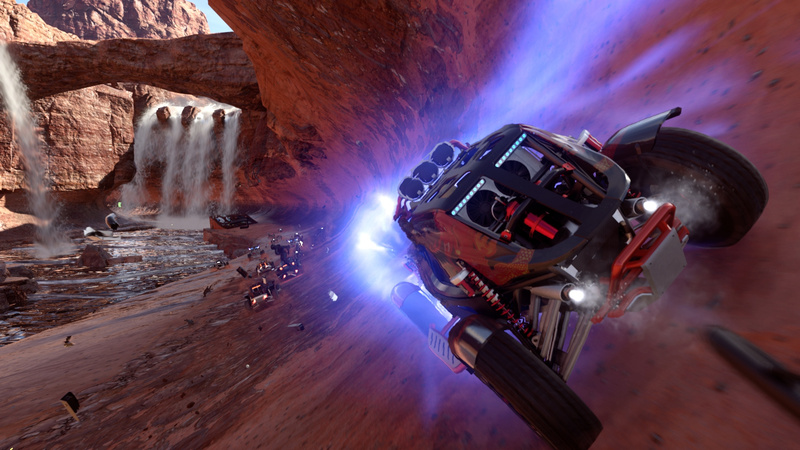 Destroying this AI detritus will fill up your boost gauge, allowing you to go faster. Your objective in the game’s primary mode, Overdrive, is to maintain your boost for as long as possible; as long as you’ve got your thumb on the nitrous button, you’ll be earning points for your team. Of course, adversaries aren’t going to stand for that, and are going to attempt to take you out of the race entirely. And therein lies the title’s unique gameplay loop: it keeps teams in packs, forcing you to balance defence with offence in order to come out as the winning team. Honestly, it takes a lot of getting used to, but a campaign is on hand to introduce you to the fundamentals. And that is what the offline content is: training. It’s structured similarly to DriveClub, where supplementary challenges give you a little more to think about each round than simply winning the battle, but it’s a really good way to learn the fundamentals of each mode before hopping online. The artificial intelligence is solid, so there is fun to be had – and you can even play in co-op if you prefer. But it’s online where the meat and potatoes of Onrush reside. Quality netcode means that you’ll get into a race in seconds, and the game uses bots to fill out vacant slots before cycling new challengers in. Honestly, the online is so seamless and swift that the release has the same kind of “one more go” factor as Rocket League – it can be hard to tear yourself away once you get a session started. The comparisons to Psyonix’s soccer-football favourite don’t end there, as the quick chat is also on hand for those “OMG! OMG!” moments. And to be fair, the influences are wider reaching than even that: this may be a totally original title when taken as a whole, but it pulls in elements from all corners of the industry – including Overwatch, with each car having a special move that can be triggered once powered up. 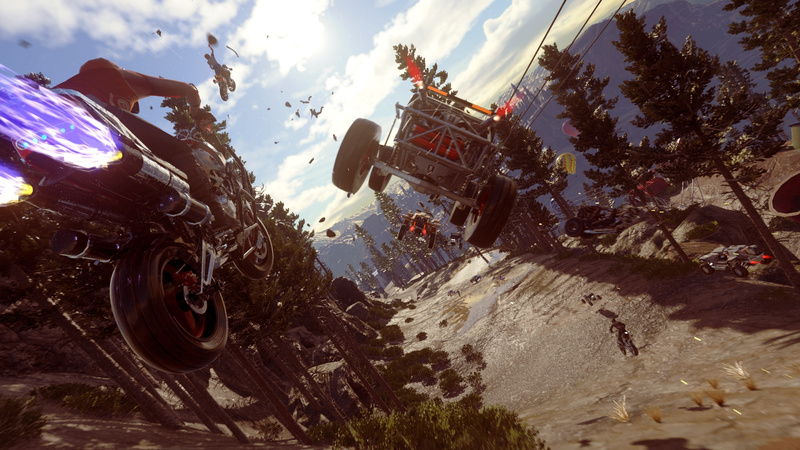 The classes are straight out of MotorStorm, ranging from dinky dirt-bikes all the way through to four-wheeled monster trucks. Each vehicle has its own unique ability: some fare better in the air, while others can leave behind boost capsules for teammates to consume. The game’s perhaps a bit too chaotic to be truly team-based, but we can easily imagine competent clans comfortably outpacing newcomers. That said, there are times when the release is far too random for its own good. There’ll be times where you’ll be taken out by opponents, and it won’t always be clear why exactly you came off worst. Similarly, the screen can get so busy that it’s genuinely difficult to see where you’re supposed to go. A complicated UI and dynamic weather system adds to the clutter – even though the latter is a feast for the eyes. The 12 tracks are not conventional race courses at all, opting for extremely wide layouts to accommodate the game’s cluster of cars. You’re not going to do a whole lot of skilful driving in this game really; hairpin bends are few and far between, and most of the time you’ll merely be navigating ramps and smashing into opponents. It doesn’t really need an accelerate button to be honest. The challenge comes from knowing your class and understanding the rules of each mode. Countdown sees you running through gates in order to keep your team alive, while Lockdown is a spin on the territory capture modes from first-person shooters. Switch is our personal favourite: it’s a twist on Call of Duty's Gun Game, where you work your way up the classes each time you crash. All of the modes are equally entertaining, and we didn’t find ourselves particularly dreading any single one. Moreover, each of the tracks are augmented with different seasons and a day-night cycle, which gives the illusion of plenty of content – even if you will begin to notice the repetition after several hours play. As such, the release’s longevity must be questioned. There are tons of cosmetic customisations to unlock via Overwatch-esque loot boxes, but there’s only so long that skins and palette swaps can remain exciting. 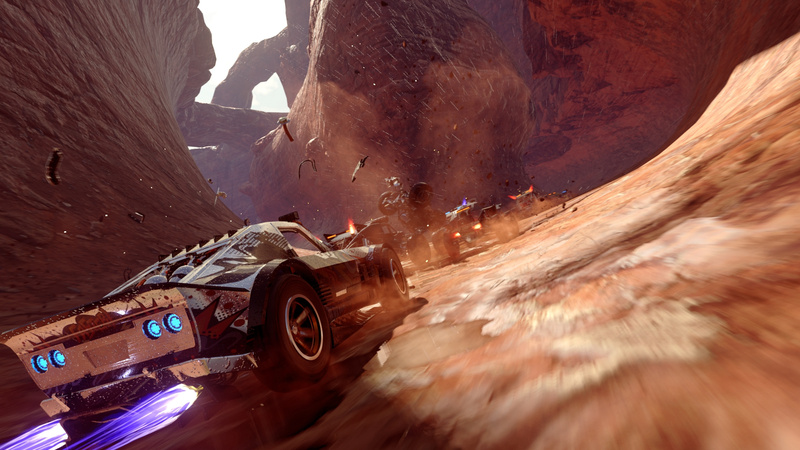 Microtransactions are fortunately off the table, but beyond the four modes and 12 tracks, there isn’t really anything else to Onrush, and the package is subsequently slight. But our bigger concern is how long this style of play will remain exciting. We’re a number of hours in and, while we’re continuing to have a blast in short bursts, we can feel our enthusiasm starting to wane. It’s an addictive game, undoubtedly, but its noisy presentation and chaotic gameplay style can be exhausting – and, we daresay, off-putting after a while. 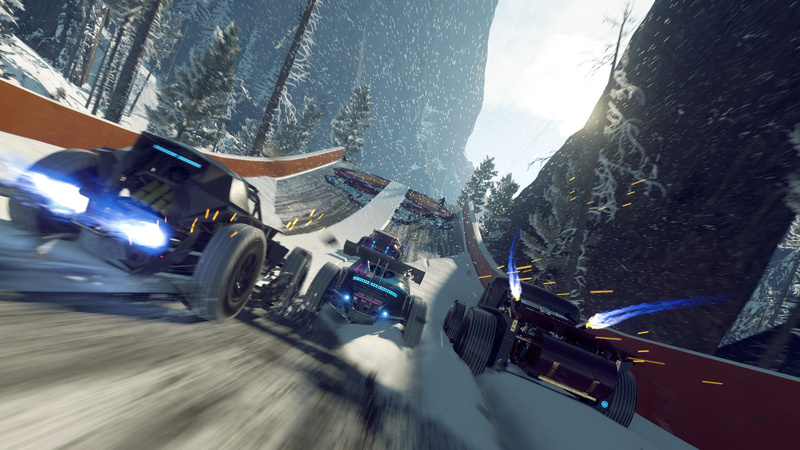 Onrush is a chaotic arcade game that surprisingly comes together – even if there are question marks regarding its longevity. This brash vehicular experience draws inspiration from several different areas of the industry, but it reassembles them into something unusual and entertaining. A great online infrastructure means you can be in and out of the action in seconds, but the package could do with a little more meat on its bones to fully justify its price tag. A shame we didn't get a real MotorStorm this gen. DriveClub was one of Sony's few mistakes over the last 5 years and it cost Evolution and one of its best series. I like my arcade racers to have a cockpit view. I'm not the greatest fan of third person, it's too Mario Kartish for me. That, and the level of content, mentioned in this review, means that it goes on my 'May buy it, when it's on sale' list. Sounds somewhat interesting but, like many, I'm still majorily disappointed this isn't a spiritual sequel to Motorstorm. I admire them for trying to make something new but it's not for me unfortunately. Wouldn’t it be great if Sony offered this while it’s new as a PS Plus title in a similar move they did with Rocket League? Fat chance of that, I know. I've just realised, having read this, that I've not played Rocket League in absolutely AGES! I need to get back into that! @tomassi The amount of muppets populating the RL servers is ridiculous atm. Great review Sammy, maybe one for psplus with the RL model to keep the servers on. @themcnoisy That's a shame. It didn't used to be bad from memory, but then I only get in, play a game, and that's it. I don't have head phones and a mic, or interact with anyone, so probably miss a lot of the muppetry! No interest at all after this review, which is a shame as I loved Driveclub. But this kind of racing game is just not what I'm after, unfortunately. I enjoyed the beta, played it until I hit lvl 25. During these two days, I had some good fun with the game/beta. But I'm not going to pay that much for an arcade racer, that I may very well lose all interest in, after a couple of days. My only concern is, that the servers may be deserted at the time the price drops. This could be one of those buy-at-release-or-don't-buy-at-all decisions. @tomassi if you play random 2v2 around 25% of matches you will be teamed with a none player or messer. 25% the skill levels are all over the place due to smurf accounts. 25% of the time your ping will be over 90 for an unknown reason and 25% of the time the games are fair and fun for everyone. Im done with online competitive games, they are too frustrating. Its great when you have that 1 in 4 awesome game and I love Rocket League. But am fed up of losing rank when its out of your control. Anyway enough of the rant. I think I'll wait for The Crew 2 at the end of the month to get my racing fix. I played the online demos for both games (closed Beta in TC2's case) and TC2 was much more fun. I may get Onrush later on though when it's cheaper. Onrush is not a racing game. it's a action driving game. it's a pass, though I may redeem if put on PS+, but probably not as I generally avoid online. I guess after Evo wanting more realism and doing Driveclub, I just expected Evo to take over GRiD for Codemasters. Sadly, we got this which is a bad Motorstorm with out the race. The campaign (training) is gonna make this a PASS. Most games don't need multiplayer to be complete, that includes sports and racing games. I don't understand why people believe multiplayer is the most valid form of gaming. It's bizarre. @clvr Haha, you got a good belly laugh from me. I still plan on giving it a go down the line. It's just not a full price kinda game in my book. This would be the kinda game I would love to get on PS+. It did say in the review that 'co-op' can be used...does this mean that you can play more than just a tutorial with a friend on the couch, or does it just stick to that? I'd get this game, if it just had more single-player offline modes, but to get it and just play a tutorial over and over again, doesn't seem worth it. Other than that, I loved Drive Club (got the original and VR version), but I guess I'll just stick with them, the Need for Speeds and my original Motorstorms on the PS3, until something great comes along that isn't just focused on online...seriously, we need some co-op games on the PS4 (even if they are just party games and family-friendly games...would like something that my wife can get into and my kids can enjoy at the same time). @RoyalGuard Yes, the sad reality today is that even a half-baked multiplayer game on Steam's Early Access will often outsell a great single-player game. What bothers me is that so much of our gaming media is propelling this outcome, and are pushing developers to put multiplayer ahead of single-player. It was the same thing with lootboxes and microtransactions. Games like Hearthstone, CounterStrike and World of Warcraft on PC made lootboxes and microtransactions very popular. Few in the gaming media complained about it, in fact they jokingly dismissed how much money they spent. The Big Media and all yotube critics gave lootboxes and microtransactions the 'all OK', which developers sand publishers consequently responded to. @themcnoisy To be honest, I'm not really an online gamer so rank and online leagues and comps don't interest me, be it Rocket League, FIFA or some FPS. I just like going on and playing the odd match here and there so it suits my purposes. I had a spell of playing it quite a lot because it is a lot of fun, but I've not played it for a long time for some reason. @OneManDroid Ubisoft are asking players of the closed beta for feedback on TC2, so I will mention the rubberbanding. Hopefully they can tone it down for release. Nevertheless, I still enjoyed TC2 more than Onrush. ...well, after purchasing Onrush and playing it a good couple of hours last night... I'm absolutely loving it! Really does remind me of the twitchy fun from Motorstorm with the recklessness of Burnout... a really refreshing TOTALLY NEW way of looking at car combat / racing games... and it plays like a dream... whack some 90's anthems in the background and it's like you're transported to a time when fun was the main aim, and not exhaustive content. Plenty of single-player goodness and tonight I try online! (it's amazing, but whilst I'm playing this game I'm constantly grinning, it just has that effect!) and GAME are selling it for £39.99 - perfect price point for this..
IMHO this should have been under £20 at launch to get a base. @Flaming_Kaiser Thanks Kaiser. Guess who bought it for 30 quid, when it was on sale, and then played it for 30 mins?